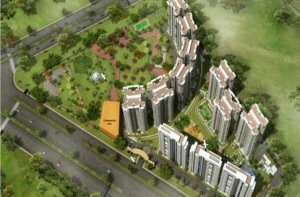 Sunworld Vanalika A dream of high standard of living has blossomed into a reality. Sun world presents 3BHK, 4BHK and Duplex apartments in the heart of the city Sector 107 Noida. Large manicured parks & walkways.